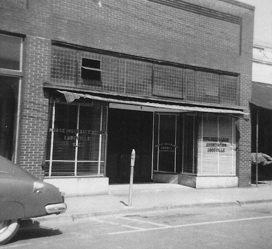 Abbeville First Bank was organized April 24, 1907 under the name of Building and Loan Association of Abbeville. The assets at the time were only a few hundred dollars. The principal objective of the association was to encourage the common person to save money monthly for the primary purpose of building or buying a home. Deposits were made rigorously on a monthly basis by shareholders to help build enough funds for at least one of them to buy or build a home. Previously, banking had been limited to only those with wealth and assets that needed protection. Home ownership was rare and renting was predominant. The Association opened the doors to the accumulation of savings and the pride of home ownership to all of Abbeville’s citizens. You could say that the business was primarily “neighbors helping neighbors.” By May 11, 1910, three years after its inception, twenty-seven families in Abbeville called themselves homeowners because of membership in the Association. 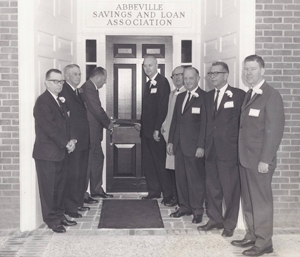 The institution later changed its name to Abbeville Savings and Loan and was touching the lives of virtually everyone in Abbeville County. It has made homeownership possible to thousands of families in the Abbeville region of South Carolina. Depositors have amassed funds for home building or purchase, college education, retirement and a myriad of other reasons. In 2013, the name changed to Abbeville First Bank in order to better reflect the business it was doing; personal and business checking, savings, CDs and IRAs, home loans and business loans. Moving into our new building in 1965. Abbeville First Bank has seen other financial institutions come and go, it has withstood two major world wars, the Great Depression and the Great Recession. Today, the Bank is stronger than ever before in its history. 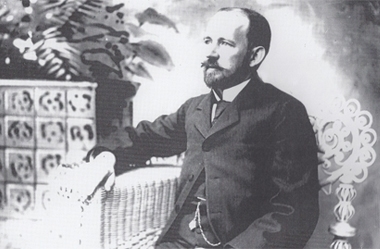 Whether you call it the Savings and Loan, Abbeville First, or simply The Bank, we’ve been around now for 108 plus years, and we’re here for you today, tomorrow and far into the future. The way banking should be.